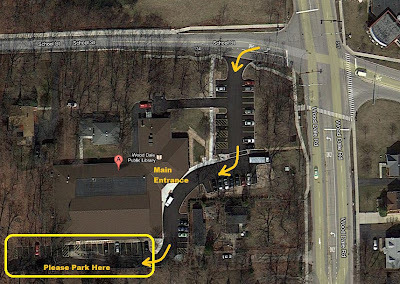 Next Club Meeting: April 20, 2019, at the Wood Dale Public Library from 10:00 a.m. to 5:00 p.m. The Animatrix Network is an anime & manga fan club located in the Southwest suburbs of Chicago, Illinois. We usually meet on the fourth Saturday of each month (except when holidays or conventions coincide). The meetings are free and open to the public. Join us for a day filled with anime. This site provides news, reviews, commentaries, and previews of the world of anime and everything it inspires, such as live-action films, comics, music, art, and other weird things to enjoy and contemplate. Where do you want me to put the dead bodies? There is public transportation available. 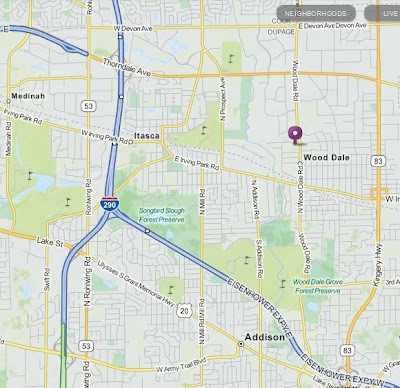 A Metra train-stop is located within walking distance. make room for other library patrons. A Viewing Schedule will be posted soon. 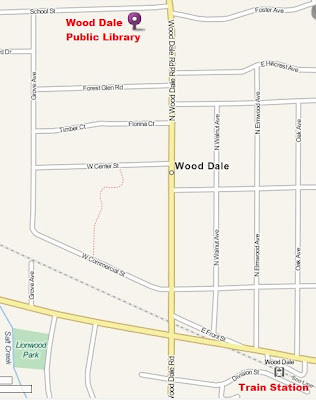 520 N Wood Dale Rd. Flashback Corner - Remember This? THE DIRTY PAIR is a series of sci-fi comedy light novels written by Haruka Takachiho and illustrated by Yoshikazu Yasuhiko that was later adapted into anime and manga versions. The franchise has bounced across multiple formats and production companies, resulting in (so far) eight novels and a few shorter stories, a television series, two OVA series, two OVA features, a feature film, a number of graphic novels, and two short Japanese radio series. The 1985 television series won the Animage Anime Grand Prix prize for that year. The stories take place in the years 2138-43, by which time humanity has spread across some few thousand star systems. A corporation called the World Welfare Works Association (WWWA or 3WA) helps member systems of the United Galactica (UG) federation deal with various planetary-scale problems, for profit, by sending agents called "trouble consultants". The series focuses on a team of trouble consultants in that section, named Kei and Yuri, who have a reputation for leaving a trail of destruction behind them, for which they are known publicly as the "Dirty Pair". Kei and Yuri are the two members of Trouble Consultant team 234, code named "Lovely Angels". Almost every mission they are involved with ends up in disaster, but not failure (they'll catch the crook, but a city may be destroyed in the process), and thus they are more generally known as the "Dirty Pair", a nickname they hate. They are always cleared of any wrongdoing by the 3WA's Central Computer because the extreme collateral damage is never actually their fault (though their mere presence has been known to make things worse). In some but not all continuities, they have joint ESP powers, usually limited to precognition. This talent was the reason they were recruited in the first place. Kei is a hot-headed tomboy with red hair and tanned skin who wears a silver-white uniform. She favors large weaponry and prefers to "shoot first, ask questions later". The more aggressive of the two, she is also the bustier of the pair and is attracted to manly, muscular men. Yuri is of Japanese ethnicity, and wears a golden-yellow uniform. She often uses non-gun weaponry such as energy whips or throwing cards. While the more feminine of the two, she is known to become very violent when crossed. She is the more bottom-heavy of the team and is also a coy flirt who prefers cultured, refined men. Her most recognized weapon is the Bloody Card, a technologically enhanced throwing card that can be used to take down several people at once. What is the plural of "anime"? Anime is a Japanese word, and since they don't use pluralities in Japanese, "anime" is both singular and plural. Just like the plural of "samurai" is not "samurais." The same goes with the plural of "manga," which is "manga." The Animatrix Network is a fan club, by fans, for fans of Japanese animation. We helped shape the anime and manga fan community in and around the Chicagoland area since our founding in 1995. Our monthly programming schedule has a wide variety of anime titles ranging from science fiction, comedy, fantasy, horror, romance, and adventure. Join us each month to escape the ordinary world and dive into new realms of imagination! Simply register your name and email address to receive the latest info on club activities, meeting dates, and viewing schedules. At the meetings, we encourage all members to network with one another. It is a great place to discuss your favorite shows with other fans, make friends, and even sell or trade anime or manga. Be a part of our Animatrix Network and you can open new doors into the fantastic world of the anime fan community. For questions about the club, or if you would like to register as a member in order to receive news and special announcements, contact us at anim8trix@sbcglobal.net. Trailer for "Mary Poppins Returns"
CGI Animated Short Film: "Tentatrice"
Netflix’s new animated series "HILDA"
Fright or Flight! Halloween is on its way! New Poster For Disney's Release of "Arrietty"
Mighty Orbots - Remember this? In the future, Earth is threatened by various enemies, but none worse than the organization called Shadow, lead by the cybernetic menace known as Umbra. Against this, the Galactic Patrol strives to protect Earth, but the mild mannered young scientist, Robert Simmons, does more. In times of peril, he secretly fights as the leader of the Orbots, a team of unique artificially intelligent robots each equipped with their own unique capabilities that are invaluable in this war. Together, whether individually or united as parts of a giant combined robot, they represent Earth's most powerful defense.